Final storyboard / animatic for my transcription project - "Grandad's Story". @Phil - I did discuss Raymond Briggs with Alan in my first meeting. We talked about recreating the same tone and feeling he achieves in "When the Wind Blows". I hadn't thought about the pencil crayon / cross hatching look as the overall style. 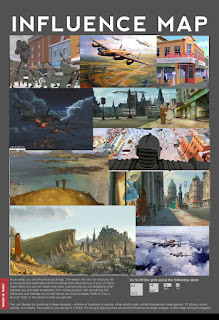 I originally wanted to give it a painterly feel reminiscent of Sylvain Chomet's the Illusionist. 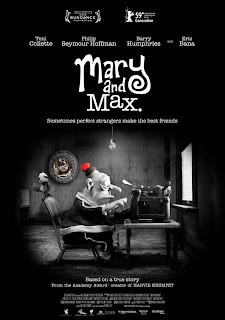 I think because Raymond Briggs' animations are 2D and illustrative, the thought hadn't crossed my mind, but I like it. 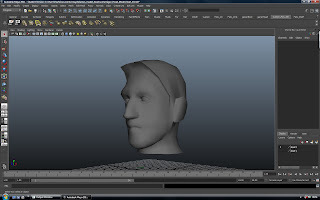 @Alan - Can we discuss how this would be achieved in 3D when you are next available? 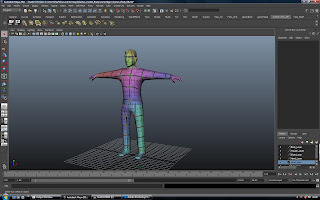 Would hand drawn texture maps be the way to go? 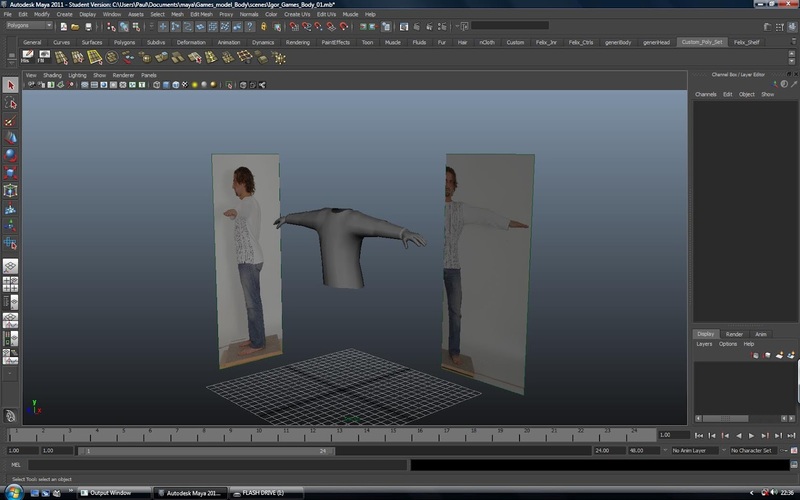 I've taken out the title sequence and the over-long cloud flying sequence. I have also (reluctantly) changed the music. I really, really wanted to keep "Michael Kamen's - Band of Brothers Suite One", I spent a long time calling people at Sony Music Classical, who put me onto NCPS and PPL to obtain a licence. They couldn't provide a joint licence which is required (apparently). However, they said if I speak to Sony Music Entertainment and seek permission from them it would be ok. Instead of going through all that hassle I found and paid for royalty free music and I'm pretty happy with it. I'm also in the process of getting a professional voice over done too. Described as "a leading figure in the world of anime" (Cavalier. 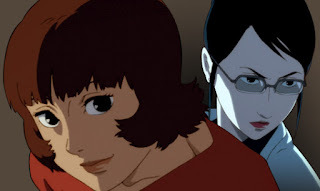 2011:361), Satoshi Kon wrote and directed complex and cerebral movies. His most famous works Perfect Blue (1998), Millenium Actress (2001) and Tokyo Godfathers (2003) "used his trademark technique of segueing seamlessly between the reality of characters' lives and their memories, fantasies, dreams, and illusory worlds." (Cavalier. 2011:361). Paprika follows suit and was his last feature film before tragically dying of pancreatic cancer in August 2010. Set in the near future, therapist Chiba Atsuko uses technology to enter her patients minds and record their dreams and fantasies. Under the guise of her avatar "Paprika", she explores and studies their psyches in an attempt to treat them. However, one day the technology is stolen and used to enter peoples minds when they are awake. Chaos ensues as peoples dreams and fantasies merge with reality. Atsuko and her colleagues are joined by one of her patients, Konakawa (a troubled detective) and go in search of the stolen technology and the perpetrator. 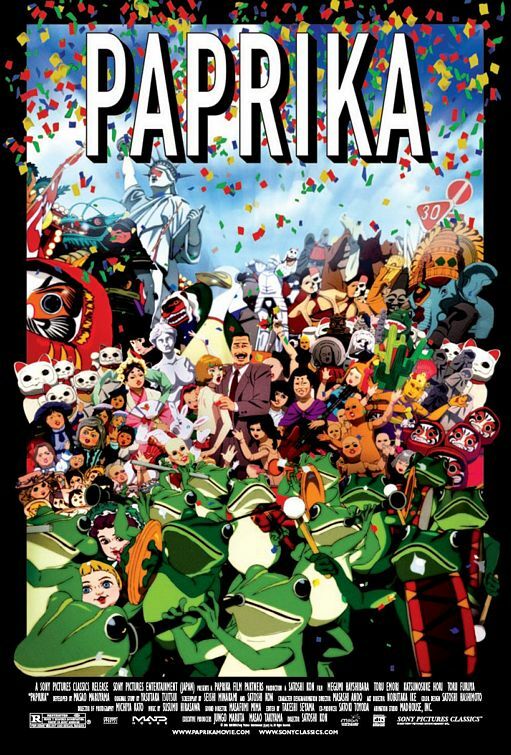 The character animation in Paprika is a step back when compared with Katsuhiro Otomo's technical accomplishments in fluid movement and lip syncing achieved with Akira (1988). 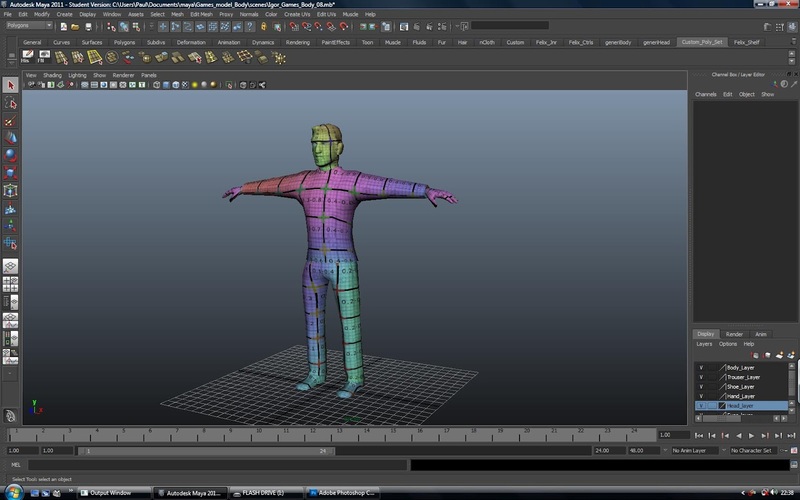 Perhaps due to budget or time constraints, the characters movements are frequently cycled. 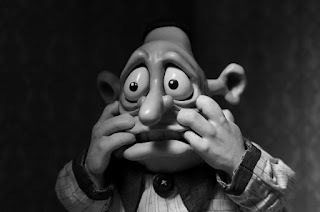 Scenes with extended dialogue often finds the characters frozen whilst only their mouths and eyes are animated. However, Kon more than makes up for this with the world they inhabit, seamlessly blending 2D and CG imagery. 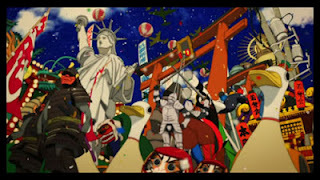 Leslie Felperin of Variety magazine reiterates, stating; "it looks pretty much par for the Japanese animation course, with simply drawn but expressive moving figures mixed with CGI-enhanced camera moves and richly rendered backgrounds, especially for the sequences featuring the eerie, confetti-strewn toy parade of invading dreams." (Felperin. 2004). Kon rarely used CG in his previous features, it is however used to great affect in Paprika. The world and environments he created gleam with both gritty realism and Dali-esque surrealism, perfectly complimenting his reality / fantasy blurred narrative. Kon takes this concept further, multi-layering Paprika with nods and references to his previous work and other popular cinema icons. At the films outset, Detective Konakawa's dream passes through multiple genres from fantasy to noir. Eagle-eyed viewers will also notice Kon actually places himself as a character with-in the movie. With so many references and innuendo's it can be argued that Paprika is the Directors love letter to the movie industry. Paprika is "a Freudian-Jungian-Felliniesque sci-fi thriller, and an outright challenge to American viewers, who may, in the face of its whirligig complexity, feel almost pea-brained". (Denby. 2007). Although the average movie goer might be lost to the multi layered references and in house nods, very few will not enjoy the unpredictable journey through Kon's vivid imagination. Although brave, innovative and exhilarating, Paprika is not regarded as his best work. 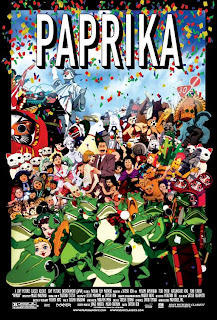 However, just like one of the protagonists who buys a cinema ticket at the end of the film, those who take a chance with Paprika will certainly be entertained. Cavalier, Stephen. 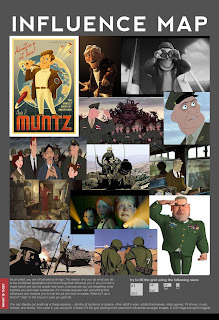 (2011) The World History of Animation. Aurum Press Ltd. London. Here is an update on my transcription project. I have written the screenplay and I have completed 70 % of the storyboard / animatic. I originally intended to include a narration at the beginning of the animation. 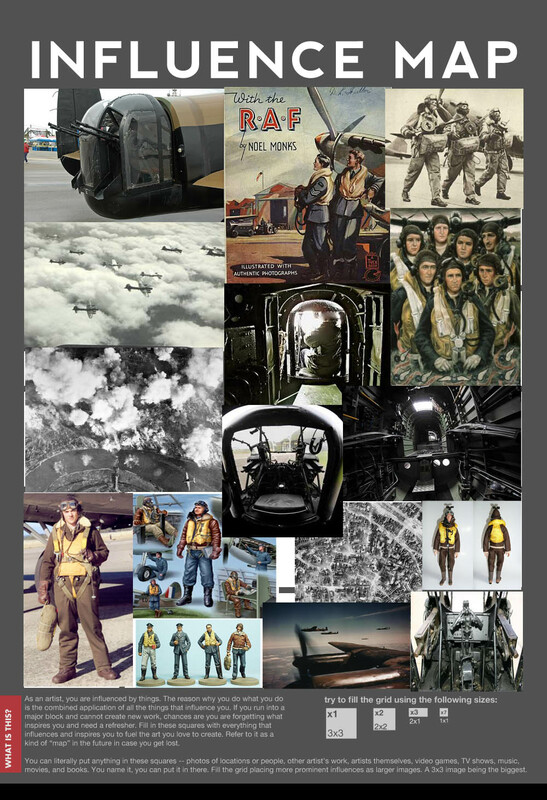 When I was putting it together, I really liked it without a voice over. I added the narration and like that too. Therefore I need some feedback, both are embedded in this video..... WITH or WITHOUT the narration? Adapted from his own manga series of the same name, Katsuhiro Otomo's "Akira" is a landmark in Japanese animation and filmmaking. A brutal alternative to the works of Disney, Otomo's feature length animation is a reflection of a culture that has survived nuclear fallout. Set in 2019, Neo-Tokyo has risen from the ashes of World War 3. Ruled by corrupt politicians and a powerful military leader, the city is writhe with violence from underground terrorist groups to teenage biker gangs. The post-apocalyptic world they inhabit is beautifully rendered. At the time of release, Janet Maslin of the New York Times notes, "Mr. Otomo invests this dark flowering of post-nuclear civilization with a clean, mean beauty. The drawings of Neo-Tokyo by night are so intricately detailed that all the individual windows of huge skyscrapers appear distinct." (Maslin. 1990). Otomo animates separate layers of the city at different rates, simulating a camera panning across a vast environment adding depth, perspective and realism. Biker gang the "Capsules", lead by Kaneda and his long term friend Tetsuo, race through the streets defending their turf from rival gang the "Clowns." A chance encounter with Takeshi (a telekinetic child with a decrepit appearance), leaves Tetsuo hospitalized and the rest of his crew in handcuffs. 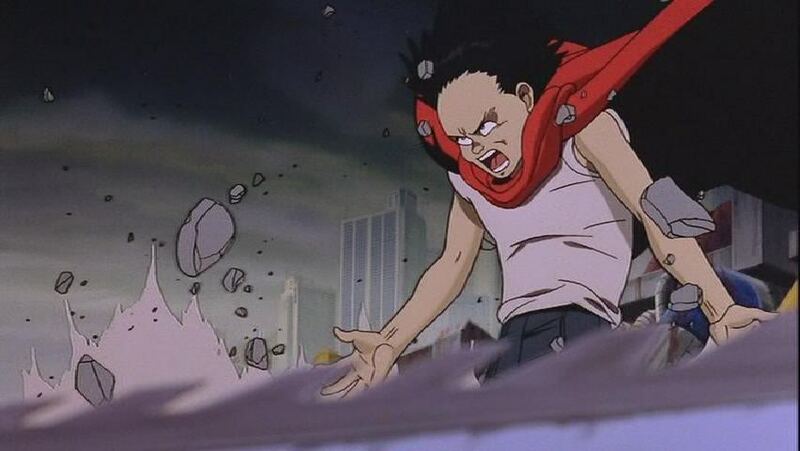 Colonel Shikishima and irresponsible scientist Doctor Onishi discover Tetsuo has similar powers to a deity called "Akira", believed to be the cause of the nuclear fallout 31 years ago. It is revealed Shikishima and Onishi have been experimenting on children with telekinetic abilities in an attempt to harness their power. They plan to continue their research on Tetsuo, who is struggling to control his new found abilities. 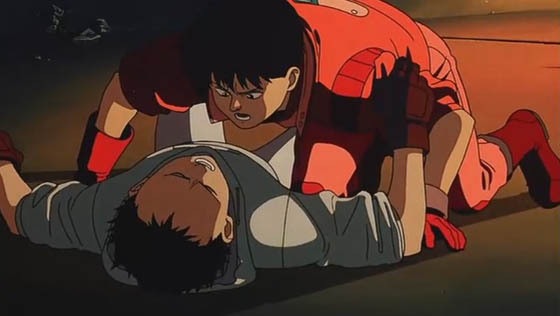 Meanwhile, Kaneda becomes embroiled with Kei, a beautiful girl involved with anti-government activists intent on uncovering the truth about Akira. Kaneda helps them infiltrate the building holding Tetsuo, Takeshi and two other psychic children Kiyoko and Masaru. Tetsuo's unstable new power, coupled with his fierce nature stemming from a life of rejection and bullying begin to take its toll. He violently escapes from his captors and rampages through the city. Pursued by the Government, terrorists, psychics and former friends, Tetsuo seeks to confront Akira, whose in cryogenic suspension beneath the new Olympic Stadium. Tetsuo unearths his remains for an epic final showdown that includes body-horror images enough to make David Cronenberg squirm. Otomo's masterpiece was reversed engineered, starting with conceiving the end of the film first. His Manga series officially ended in 1990, two years after the anime release. By writing the end of the film first, Otomo was able to figure out which Manga elements would make the cut of the film without making it too lengthy. 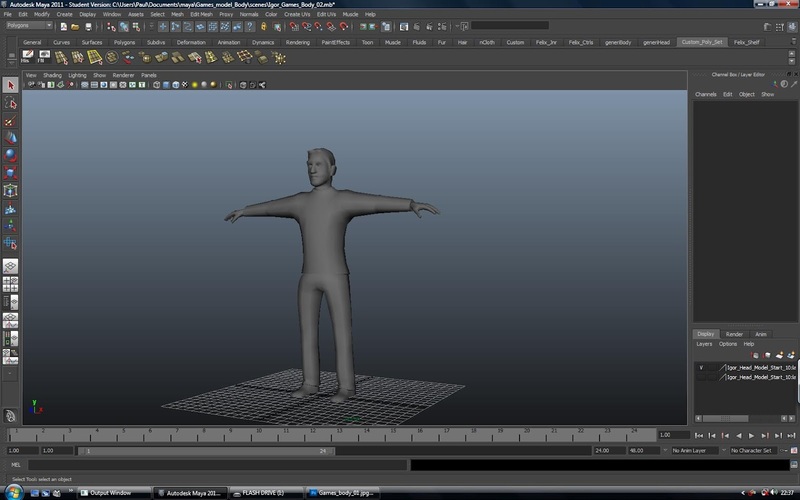 It's running time however is still over two hours, unusual and ambitious for an animated feature. To realize Otomo's epic vision took the combined effort of numerous Japanese entertainment companies. As a result they produced realistic motion and for the first time in a Japanese anime, lip-synced dialogue. Phelim O'Neil of the Guardian newspaper states it's "Style and substance run neck and neck in this thrilling, bold landmark film that just refuses to become dated." (O'Neil. 2011). 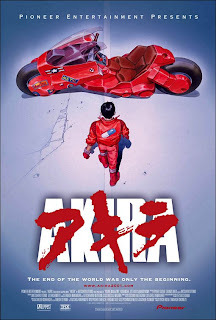 Otomo's "Akira" raised the bar for sci-fi storytelling not only in animation, but all feature film. It also highlights many misconceived perceptions of Manga as Kim Newman of Empire magazine explains. "For anyone who thinks manga is all about incomprehensible storylines, naked girls with no pubic hair and a myriad of monsters that invariably turn into giant penises, this will set you straight." (Newman. 2008). After my first transcription tutorial with Alan, we established that transcribing the BBC pathe footage may not be the best route to take. 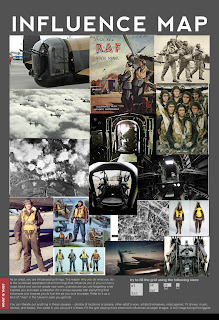 As the subject matter is personal to me and my family, we agreed I should look further into the source material that set off the idea in the first place. Seeing this in black and white seems quite daunting. At this stage I'm still reading the novel and deciding on what to put in and what to leave out. I understand it may look like I'm biting off more than I can chew, but when I start to finalize the basic structure I will refine this pipeline. 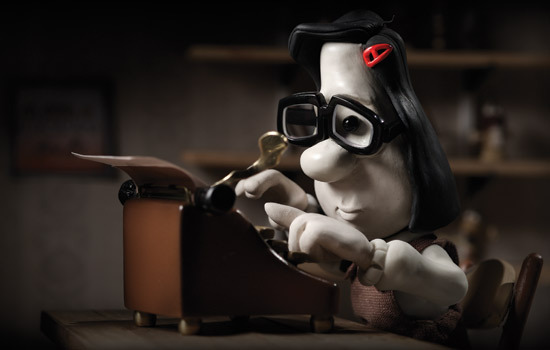 Australian director Adam Elliot follows up his Oscar winning short animation "Harvie Krumpet" (2004) with his first claymation feature film, "Mary and Max". Elliot's unique visual style rivals Nick Park of Aardman Animation and combines it with a dark narrative and black humour Tim Burton would be proud of. Alex Zane of The Sun newspaper notes, "while most animated movies are aimed at kids, this one deals with themes ranging from death and bullying to mental illness." (Zane. 2010). This bleak summary should not put off viewers as Zane goes on to say "this is one of the most life-affirming, feel-good movies of the year." (Zane. 2010). In the suburbs of Melbourne, Australia; eight year old Mary Daisy Dinkle is an outcast with an active imagination. With a birthmark on her forehead "the colour of poo", her only friends are replica figurines she has made of her favourite cartoon characters "The Noblets". Her father works in a factory (connecting the strings to tea bags), a recluse who confines himself to his shed to work on his hobby, taxidermy. Her mother is a house wife of sorts, interested only in baking cakes (badly), smoking, listening to the cricket results and constantly "testing" sherry. One day Mary accompany's her mother to the local post office and spots a telephone directory for New York. Fascinated with the funny sounding names, she randomly picks one and decides to send off a letter. The recipient is middle-aged, obese introvert Max Jerry Horowitz. The pair form an unlikely bond and correspond with each other over the next 20 years, discussing practically every topic that comes to mind. In that time, Mary grows into a young woman, attends university, falls in love and gradually connects with society. Similarly, Max comes out of his shell even after he is diagnosed with "Asperger syndrome". Their friendship blossoms but isn't always necessarily plain sailing. At one point Mary's over enthusiastic nature pushes Max's trust issues to the limit. Elliot has expertly realised the worlds his characters inhabit. He has clearly thought out every frame of every scene and demonstrates an excellent understanding of shot framing. 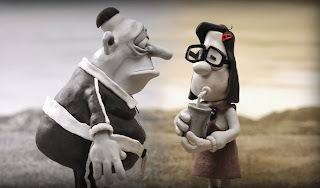 Similarly, he has given careful thought to the visual style, using a muted colour palette to reflect Mary and Max's unhappy existence. Mary's Melbourne is a dull range of sepia reminiscent of her birthmark, whilst Max's New York is a stark contrast of black and white. Andrew Pulver of the Guardian newspaper reiterates, stating "All of this is rendered in almost completely monochromatic claymation – only occasional colours stand out, such as the red pompom Mary sends to Max." (Pulver. 2010). This selected splash of colour serves as a beautiful metaphor of Mary and Max's companionship and the joy it brings them. Given a 12 certificate in the UK, the simple but brave storyline maybe lost to the younger audience, but there is enough toilet humour to keep them amused. It is also layered with throwaway gags the mature viewer will understand confirming Elliot as "a talent eccentric enough to make Nick Park look like an office drone, and the serious sadness underpinning his vision only makes the humour work better." (Robey. 2010). His detailed environments will throw up new surprises with each viewing and his subtle casting brilliantly compliments the characters they voice. This includes Toni Collette as the older Mary; Phillip Seymour Hoffman as Max; Barry Humphries (AKA Dame Edna) as the narrator and Mary's mother and Eric Bana as Mary's love interest Damian. Andrew Pulver of the Guardian neatly summarises "Mary and Max", describing it as "a very odd, very unlikely animated film from Australia that manages to be sickly-cute, alarmingly grotesque, and right-on at the same time – often in the very same scene." (Pulver. 2010). It may not be to everyone's taste, however it has cult classic written all over it.